Every once in a while someone or something will become a part of your life that shapes your views or changes you. 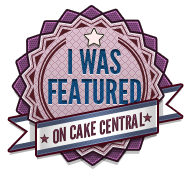 I have been blessed by such an experience; both Kerry Vincent and Toba Garrett have entered my cake decorating life. I am in awe of their capabilities and genuine talent, if you have not had the opportunity to see either women’s amazing cakes please go to the links I have provided below. I recently received Kerry Vincent’s Romantic Wedding Cakes, a must for any inspiring or accomplished cake designer, the book contains pages of stunning cakes with detailed instruction to delight the reader. I also added to my culinary cake library, Toba Garett’s Professional Cake Decorating, 2nd Edition, I think I own all of her decorating books, her knowledge and technical artistry is awe-inspiring! 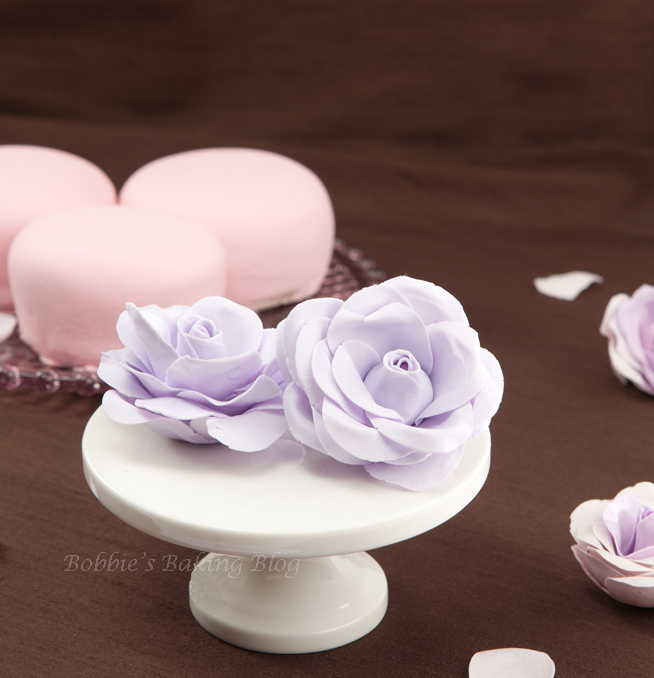 So it is no surprise Sydney and I have creating gum paste flowers. 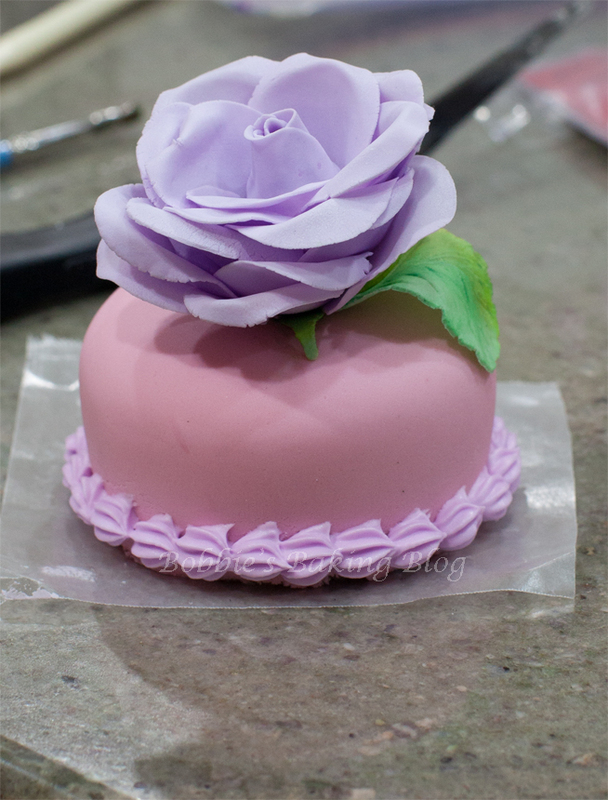 I wanted to share our technique for designing gum paste/sugar paste roses. In a bowl of a standing mixer sift the icing sugar, add the gum tragacanth, and whisk till combined. Add the egg white mix for 1-minute on medium speed, add the water and glucose mixing until amalgamated. 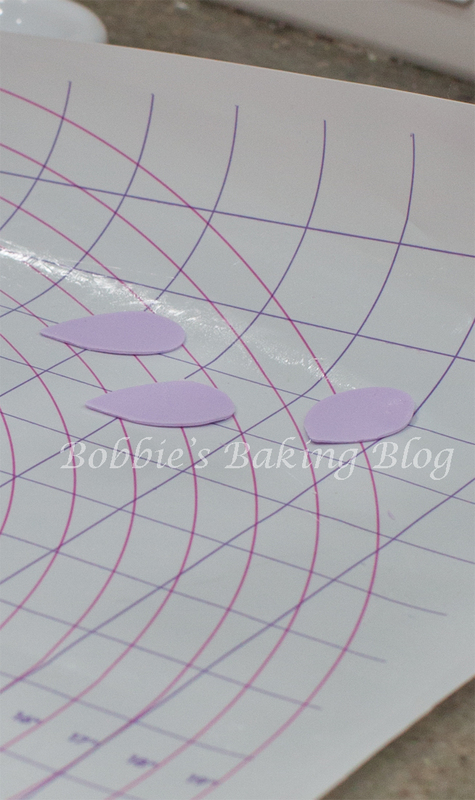 Transfer the paste to a counter top or work space, knead the remaining icing sugar (by 1/4 of cup at a time). Keep add the icing sugar until a smooth, firm dough develops. 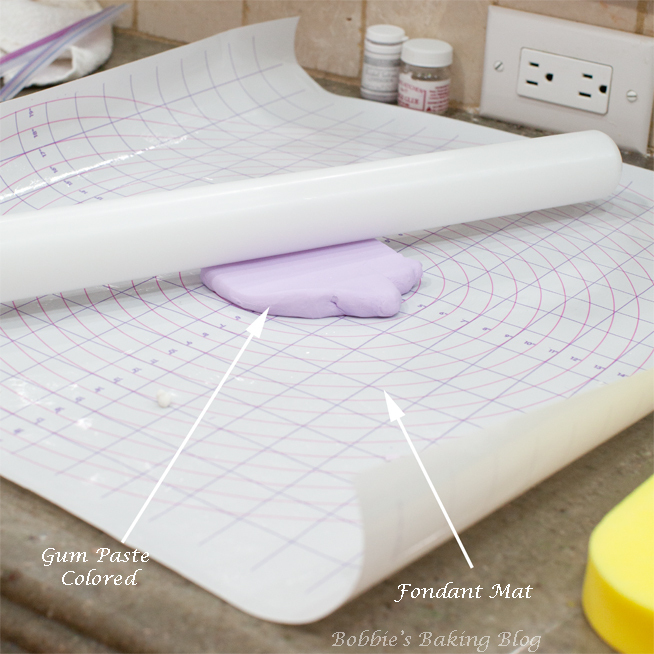 Coat a large piece of plastic film with shortening, roll the paste into a cylinder shape, wrap tightly, store in an airtight container, and allow to rest overnight. There are a plethora of good gum pastes available for purchase if you would rather skip preparing your own. Apply a small amount of shortening to the tip of a toothpick. 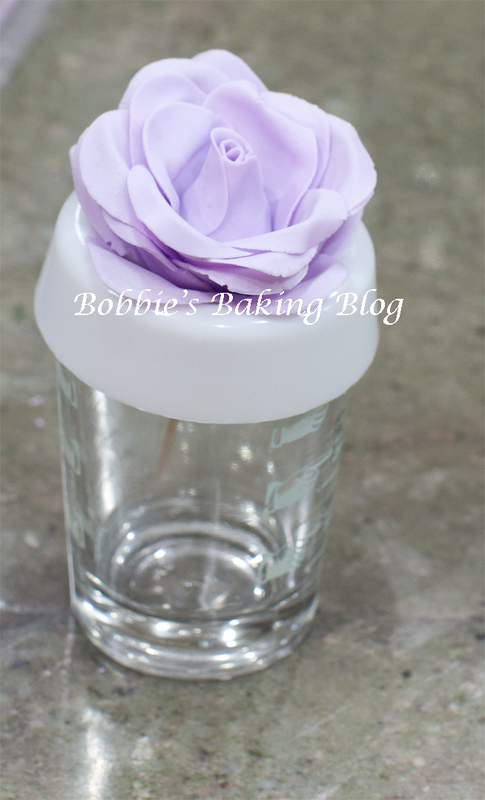 Shape a small amount of kneaded gum paste into a center cone, this will be the inner bud of the rose, allow to dry overnight for best results. Prepare your mise place, and sandwich bags. To prepare sandwich bags cut the top and both sides, apply shorting to the inside liners, this is for cut petals, to keep them from drying out. 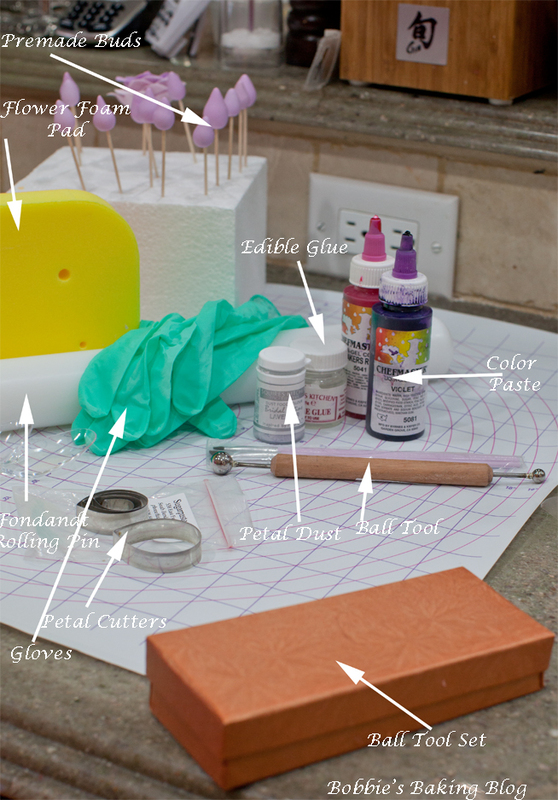 Color your gum paste (make sure to wear gloves the color will stain), knead, and roll out. Roll the gum paste 1 mm thick. Each rose will need a total of twenty petals, working with five at time. We prefer to cut 10 petals at a time. Placing the petals in the sandwich bag till needed. On a flower foam pad place one petal (there are two because Sydney and I each were working together), using either a bone tool or a ball tool begin to frill the edges, by rolling the petals edges gently with the ball tool. 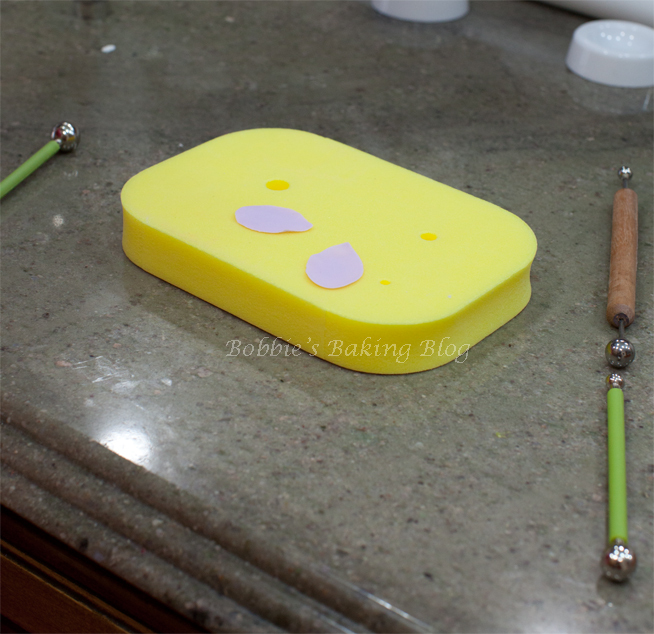 Place the petal in your palm gently roll the ball tool from the center out. 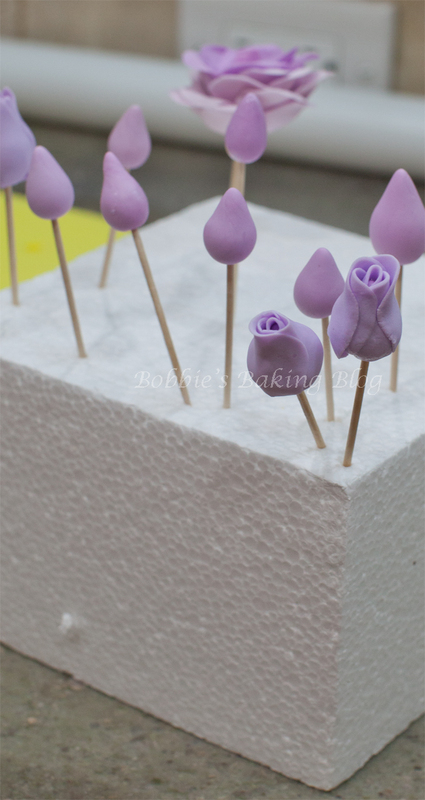 The first five petals will be wrapped (attached with either edible glue or egg white) around the center cone/ the bud. Wilton’s cake gives a great descriptions on the first five petals. Think of the petals as a head, two arms, and two legs. Attach the head first the petal should encompass the tip of the bud, using a soft small brush wet the center cone with edible glue, now attach one arm and one opposite leg, repeat for the next two petals. Starting the petals half way up from the cone. The next fifteen petal will be frilled in the same manor except laid on a plastic spoon to set, and dusted with petal dust. 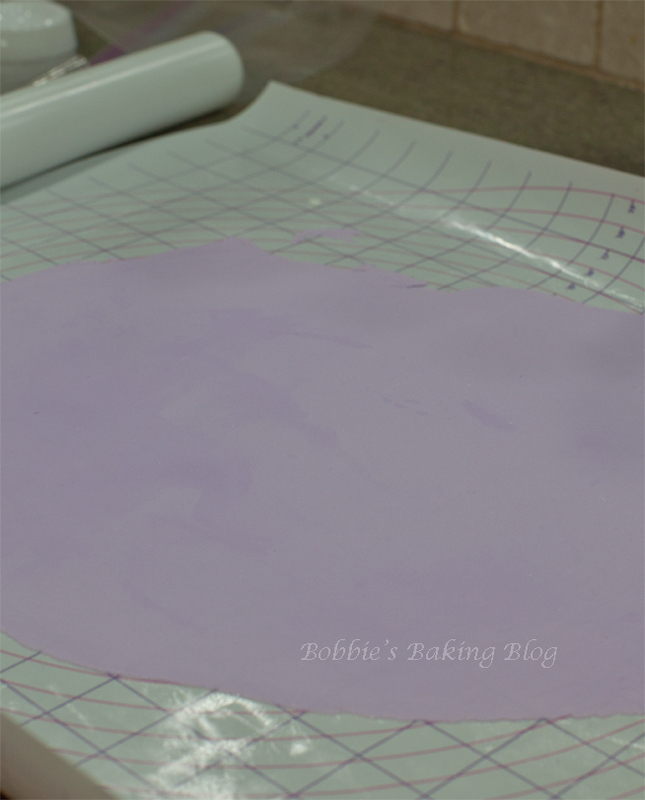 We chose a shimming lavender, but a bright pink would have been beautiful as well. Once all the petals have been laid on spoons, begin to build your rose on a Celform from the outside in. Most Celforms have a small hole in the middle, if yours does not push a large pin through it to create a hole. 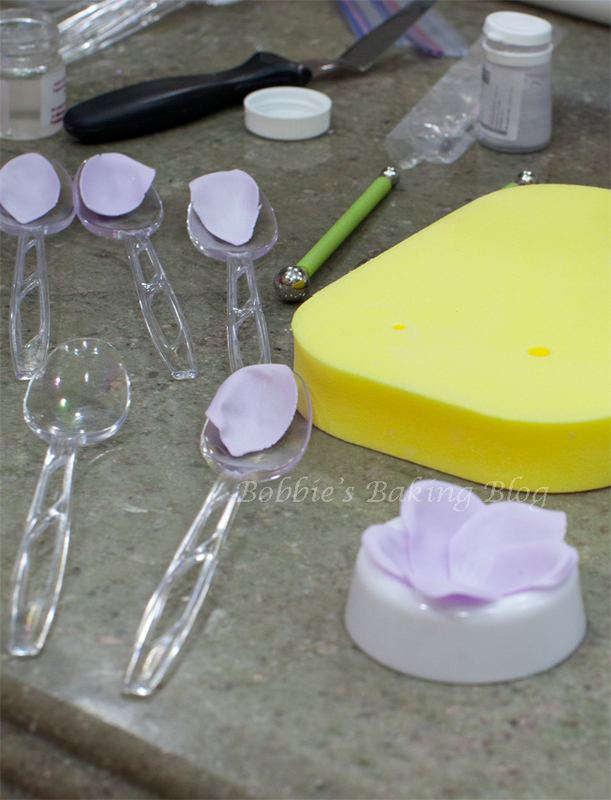 Begin with the first five set of spoons, lay the shaped petals around the Celform over lapping the petals sightly. 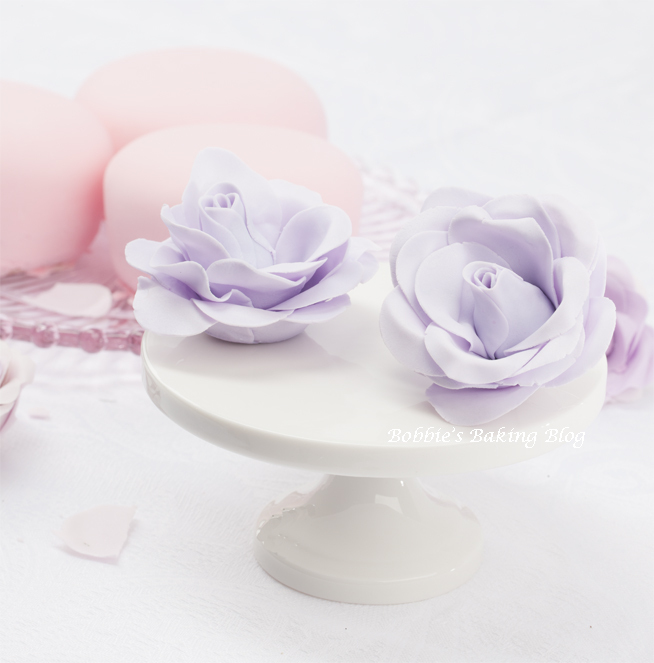 Remember to brush each petal with edible glue or egg white, to adhere to each other. Lay the next five in-between where the first five petals attached, slightly higher. Repeat with the third and last set of five petals following the same pattern, each set of five petals should be tighter and look higher. Once all fifteen petals have been arranged poke the toothpick center/ bud through the petals and Celform hole, place the Celform, with the tooth pick still attached in a small glass. So the lips of the Celform cover the top of the glass (we used shot glasses). Let dry overnight. The next day prepare your leaves and calyx. 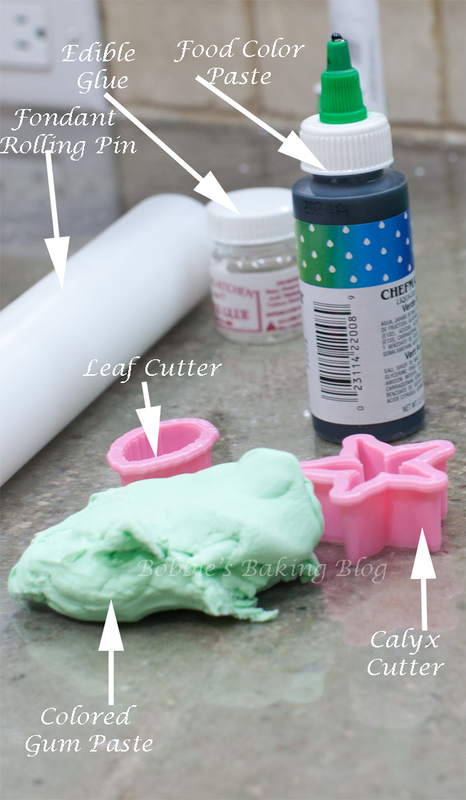 Roll the colored gum paste out to 1mm, cut at least 3 leaves per rose and 1 calyx using a leaf and calyx cutters. 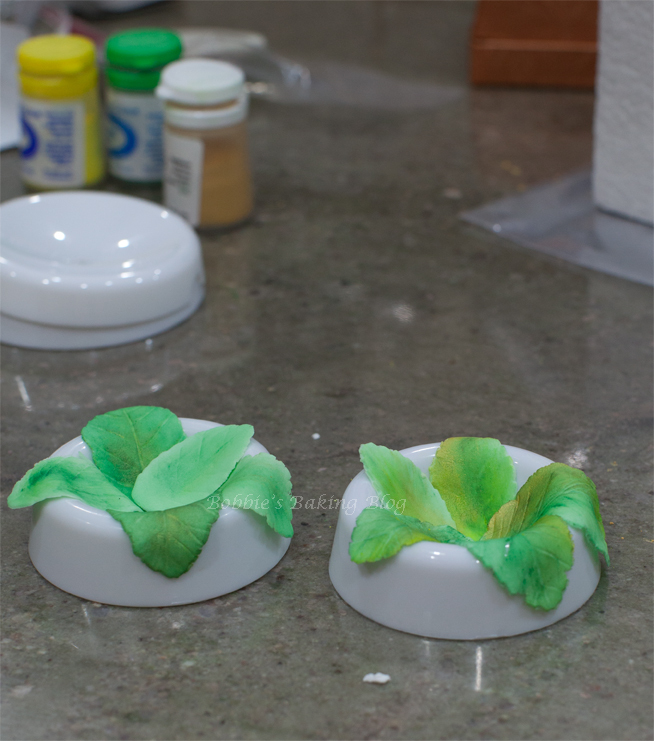 Frill the calyx and leaves from the center out, taking care to frill the edges, be careful to not tear the gum paste. Keep the leaves and calyxes in your prepared sandwich bag until use. Using edible glue or egg whites attach the calyx to the bottom of the rose, allowing the calyx to bend a little away from the rose. 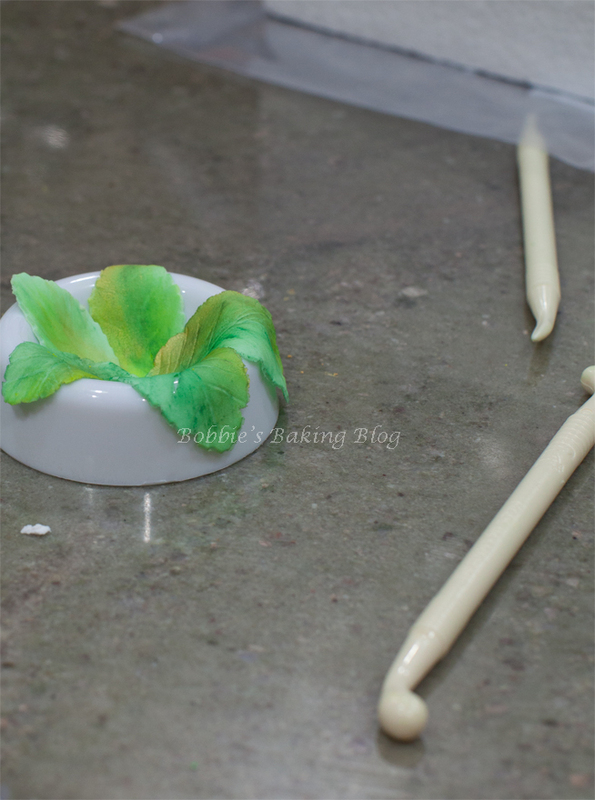 Attach the leaves with edible glue or egg whites. These roses were prepared for a special cake… we attached them and surprise, surprise allowed the roses to dry on the covered cake overnight! The tutorial for this cutie will be given later in the week. Remember to be patient and take your time. Footnote: these flowers become addicting, Sydney and I can not stop making them. I am truly elated both Kerry Vicent and Toba Garret have become apart of my world. These are so gorgeous….truly the work of art. 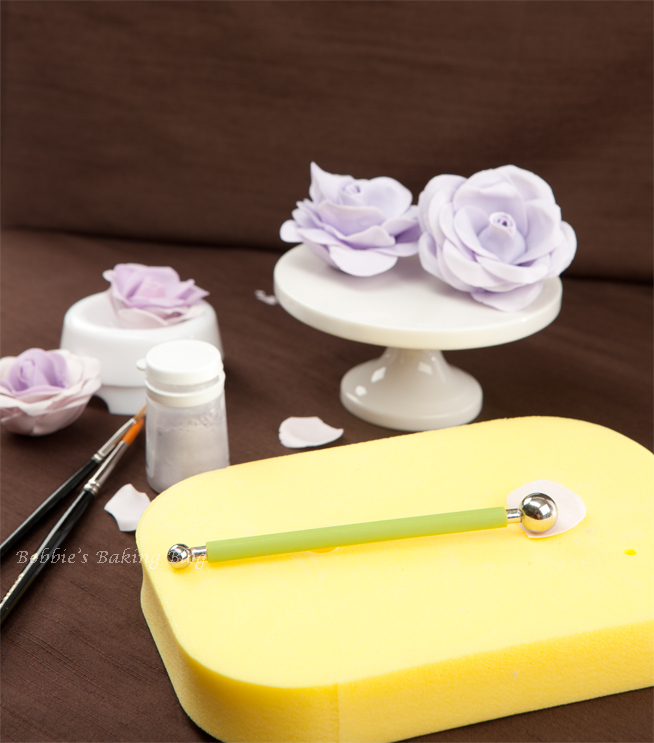 Thanks for the detail instruction on how to make these beautiful gum paste roses. You make it looks so easy. But I’m so NOT a crafty person and I just know I won’t be able to make them as beautiful as yours. Both Kerry Vincent and Toba Garrett are so talented and I admire their work as well. 🙂 Thank you for sharing. Have a wonderful evening. Thank you; the credit goes to Kerry Vicent and her wonderful book! wonderful roses, bobbie! real art and impressive work. So pretty thank you for sharing.I learned a lot! I am glad the article helped you! Hello! Super great information. Keep it going! Thank you, there is more to come!